Quilt shops, snow, and tulips! 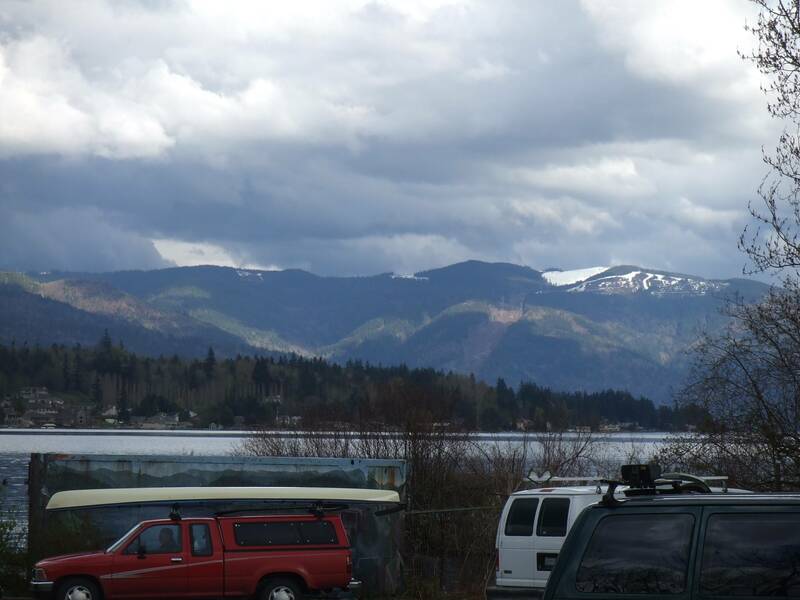 We left Portland on Tuesday and headed north towards Bellingham. We spent the night in Lacey, WA before meandering northwards yesterday. Got into Bellingham and found ourselves in the historic district of Fairhaven where we putzed through some very nice shops and had tapas for lunch. We found the park where Steve was going to race later in the day and still had some time to blow and I found a quilt shop! Spent some time “petting the fabric” 🙂 in 4th Corner Quilt Shop. It is a very nice, well laid out, cheery and friendly shop. Steve and his friend came in second in the kayak race he came all this way to race (do I dare tell you there were only 2 boats in his class????) 😉 It was interesting. The race began in 40 degree weather and I believe it was mid to high 30’s at the end. Snow was falling before the race was over. Unbelievable. So, we’ve been here on the west coast for a few days. So far it has rained EVERY day we’ve been here and today is the first day we haven’t seen snow! Temps today reached a high of 48 according to a bank thermometer we saw in Anascortes. 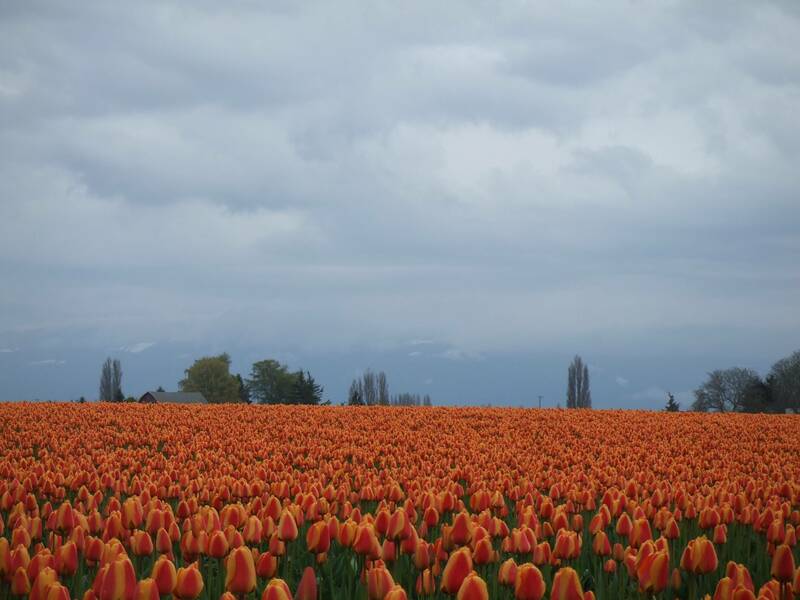 We found out that WA is celebrating tulip season here so we went to visit a field. Oh my!! How beautiful it was! So we’re now in Maryfield on our way south with Portland our destination tomorrow. 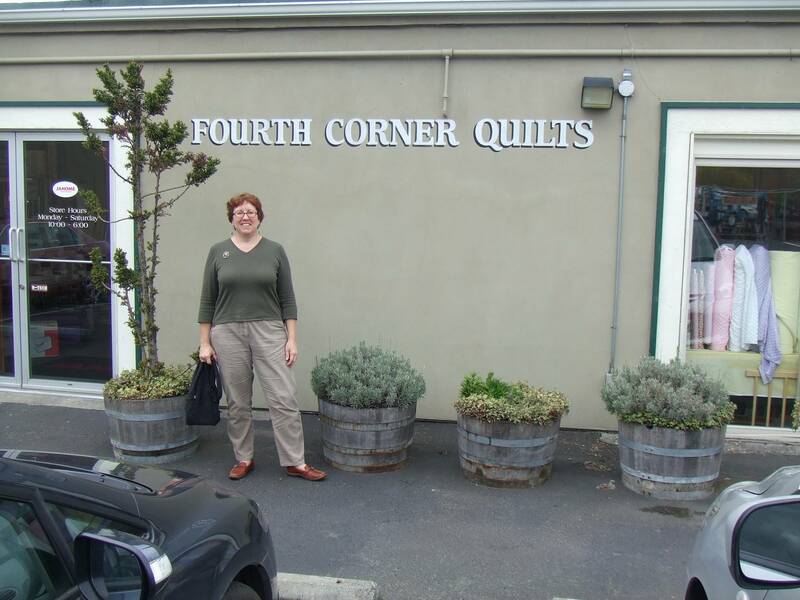 Posted in quilt, travel and tagged oregon, quilt shop, tulips. Bookmark the permalink.